We are joining Barking from the Bayou and Sugar for the Halloween Hop! Great camouflage. We'd never guess it was you behind those glasses. You all make great Ninja Turtles!! Cowabunga Dudes! 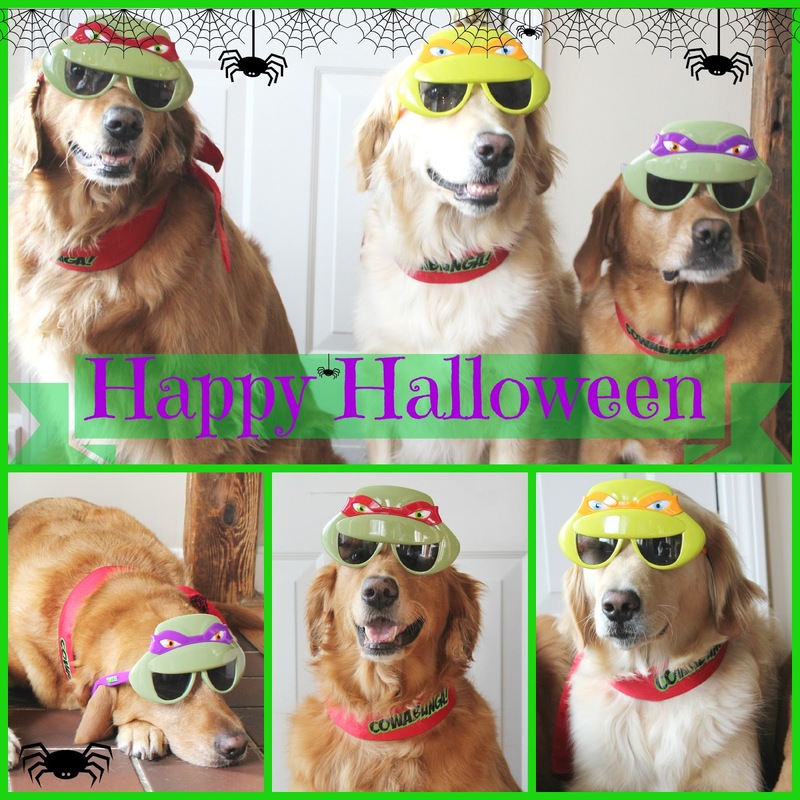 You are definitely our heroes in half shells with wagging tails! Love the ninja Goldens. Happy Halloween. Love your costume! Happy Halloween! Too Cool! Have a great day! Love the Shades!! Of course, we always think you are awesome looking!! Happy Halloween!! You guys look great....love it! Hope you had a Happy Halloween! OMD!!!! Ninja Turtles!!!! Love this!! !